MILAN (Reuters) -- Fiat S.p.A. will unveil details of its investment plan for the historic Mirafiori plant in Turin at a key meeting with union representatives on Friday. 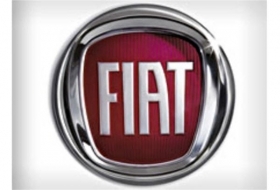 Fiat, Italy's largest industrial group, has vowed to invest 20 billion euros ($27 billion) in car plants in Italy to boost production and improve efficiency in exchange for more labor flexibility. But the company has yet to communicate how it intends to reform production at its factories, with the exception of the Pomigliano plant, where it is investing 700 million euros after a key agreement with unions. "Fiat confirms there will be a meeting with unions on Friday at which it will detail its plan to relaunch the Mirafiori plant," a Fiat spokesman said on Wednesday. The Mirafiori plant employs about 5,500 workers and it is one of Italy's biggest, along with the Melfi plant in southern Italy. Fiat is also expected to clarify which models it intends to build at the plant, where it currently produces the Fiat Multipla, Punto Classic, Idea, Lancia Musa and Alfa Romeo MiTo. Union leaders, who had repeatedly asked for the meeting to take place, welcomed the announcement. "We hope Fiat can sketch an important future development for the Mirafiori plant at Friday's meeting," Giuseppe Farina, FIM CISL union leader, said in a statement. Fiat is losing money at all its car plants in Italy and analysts say its Fabbrica Italia project to boost efficiency to levels seen at rival European car plants is crucial if it wants to regain competitiveness. Europe's No. 6 carmaker, which owns 20 percent of U.S.-based Chrysler, surprised analysts last month as it upgraded its 2010 guidance for trading profit to at least 2 billion euros, well above forecasts. Yet the company faces big challenges because of its reliance on mature markets such as Europe and the United States. Following a labor deal at the Pomigliano plant, Fiat plans to move production of its new Panda car from Poland to Italy.